In a game that was not as close as the final score would suggest, the New York Giants fell to the Atlanta Falcons 23-20 on Monday night at Mercedes-Benz Stadium in Atlanta, Georgia. With the defeat, the Giants overall record dropped to 1-6. Once again, the Giants were done in by their inability to score sufficient points. Perhaps the most telling and decisive statistic of the game was that the Giants were 2-of-5 in red zone opportunities. New York had four first-half offensive possessions. The first three ended with punts. The fourth was an 11-play, 77-yard drive that stalled at the Atlanta 9-yard line, and only resulted in a 31-yard field goal with four minutes to go before halftime. Meanwhile, the Falcons also struggled to move the ball on their first three possessions, each ending with a punt. However, a quick, 3-play, 86-yard drive late in the 2nd quarter gave Atlanta a 7-0 advantage. The score came on a 47-yard pass from quarterback Matt Ryan to wide receiver Marvin Hall against cornerback Janoris Jenkins. The Falcons followed this up with a 6-play, 53-yard possession right before halftime that set up a successful 40-yard field goal. At the half, the Falcons led 10-3. 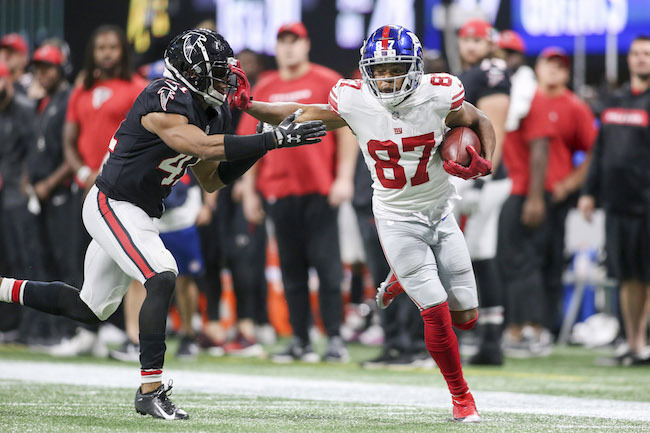 The Giants opened the second half with a promising drive, as New York moved the ball from their own 25-yard line to the Falcons’ 1-yard line. However, on 3rd-and-goal, running back Saquon Barkley was stuffed. On 4th-and-goal, quarterback Eli Manning’s pass intended for tight end Scott Simonson fell incomplete. The Giants came away with no points. The Falcons then moved the ball from the shadow of their own goal line to the New York 32-yard line. But then Jenkins forced a fumble that was recovered by cornerback Eli Apple at the 20-yard line. 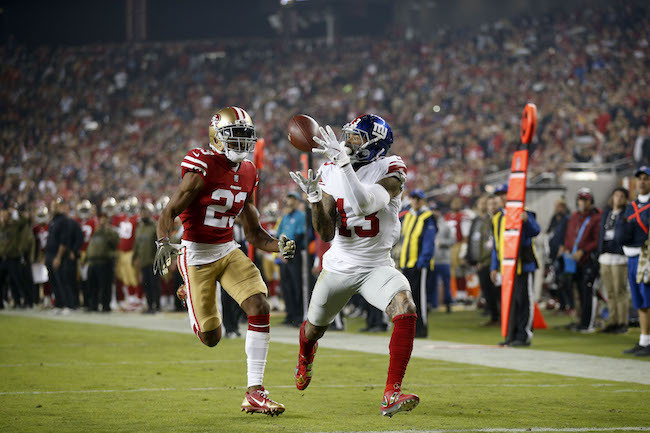 A 51-yard pass from Manning to wide receiver Odell Beckham helped to set up the Giants at the Falcons’ 18-yard line. But the Giants could get no closer after three straight incompletions by Manning. 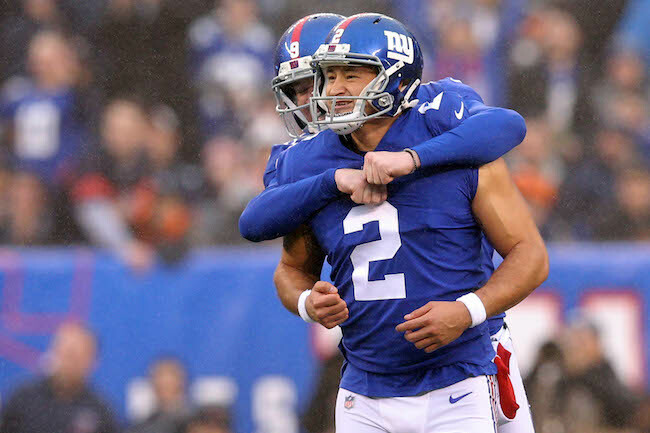 Place kicker Aldrick Rosas kicked a 36-yard field goal to cut the score to 10-6. The Falcons responded with a 7-play, 43-yard drive that set up a successful 50-yard field goal and the Falcons were once again up by seven points early in the 4th quarter. After the Giants went three-and-out, the Falcons drove the ball 65 yards in nine plays, culminating with a 30-yard touchdown run by running back Tevin Coleman. The Falcons now led 20-6 midway through the final period. 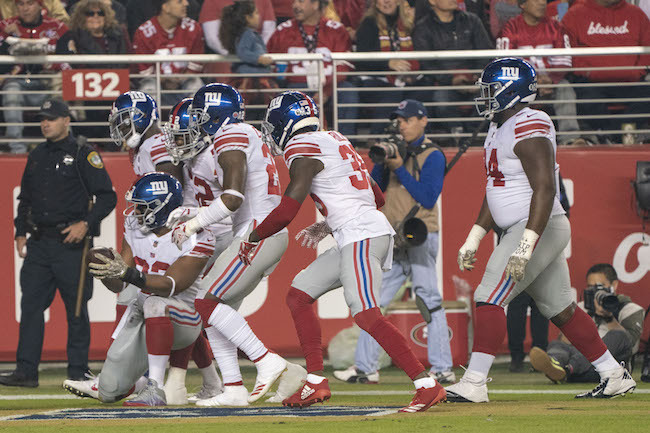 As has been the Giants’ modus operandi this season, the Giants scored a touchdown when the game was all but officially over. New York drove the ball 78 yards in nine plays, finishing with a 2-yard touchdown run by Barkley. Oddly, Head Coach Pat Shurmur decided to go for a 2-point conversion that failed. The Giants trailed 20-12 with less than five minutes to play. The Giants’ defense could not force a quick three-and-out as Atlanta gained 37 yards in eight plays. Worse, the Falcons converted on a risky 56-yard field goal attempt. Atlanta now had a two-score advantage at 23-12 with less than two minutes to play. Again, with the game all but over, New York scored a touchdown. But they wasted valuable time with two back-to-back quarterback sneaks at the 1-yard line. The final score – a Manning to Beckham touchdown pass – came with only five seconds left in the game. The 2-point conversion attempt succeeded. The game ended after the ensuing failed onside kick attempt. Offensively, Manning finished the game 27-of-38 for 399 yards, 1 touchdown, and no interceptions. His leading targets were Barkley (9 catches for 51 yards), Beckham (8 catches for 143 yards and 1 touchdown), and wide receiver Sterling Shepard (5 catches for 167 yards). Barkley was limited to 43 rushing yards on 14 attempts. 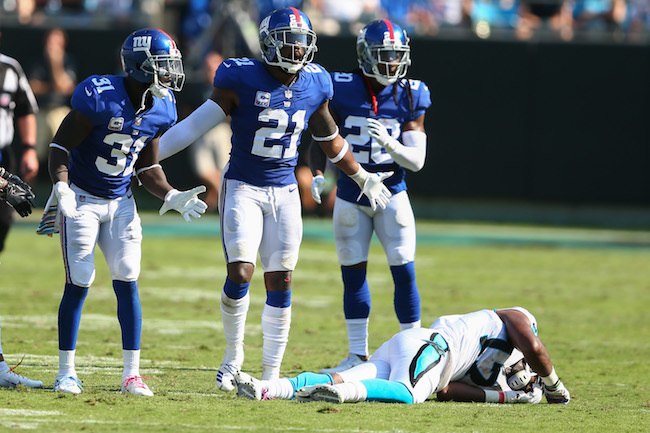 Defensively, the Giants allowed 423 total net yards (67 rushing and 356 passing). The Giants did sack Ryan three times, with one sack each by linebacker Lorenzo Carter, defensive end Kerry Wynn, and cornerback B.W. Webb. 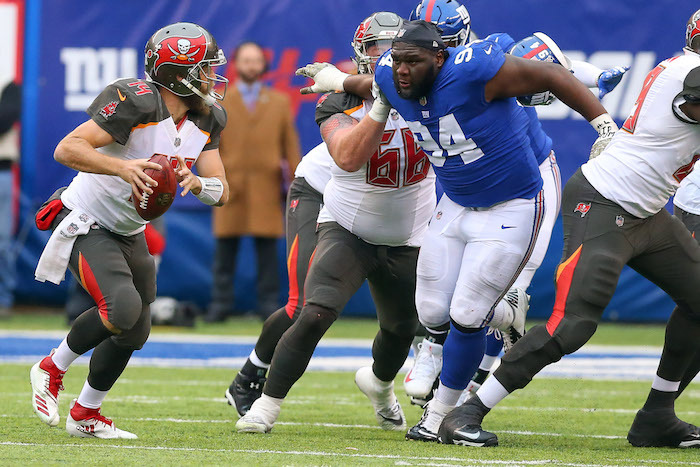 The Giants forced one turnover, the fumble recovery by Apple caused by Jenkins. 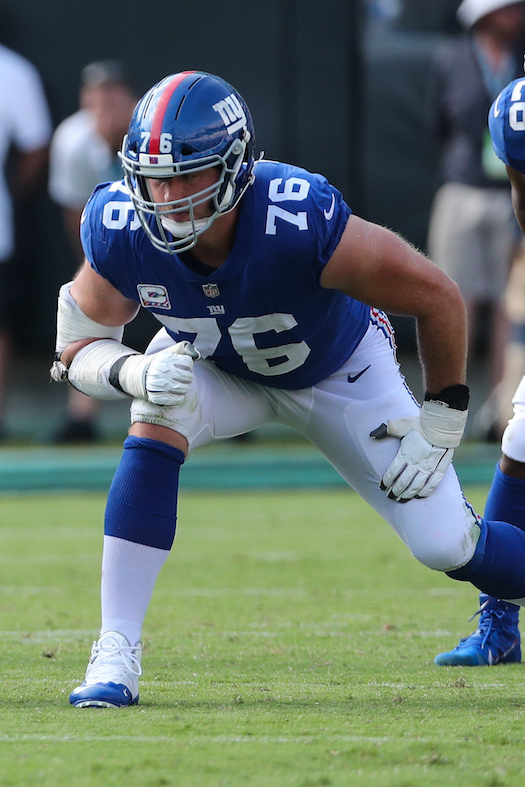 Inactive for the New York Giants were right guard Patrick Omameh (knee), wide receiver Russell Shepard (neck), wide receiver Jawill Davis (concussion), quarterback Kyle Lauletta, defensive tackle John Jenkins, cornerback Mike Jordan, and safety Kamrin Moore. Cornerback Eli Apple injured his ankle, but returned to the game. On Sunday, the New York Giants signed wide receiver Quadree Henderson to the 53-man roster from the team’s Practice Squad. To make room for Henderson, the team waived tight end Garrett Dickerson. The 5’8”, 192-pound Henderson was originally signed as an undrafted rookie free agent after the 2018 NFL Draft. The Steelers waived him before the season started. Henderson has experience as a returner. 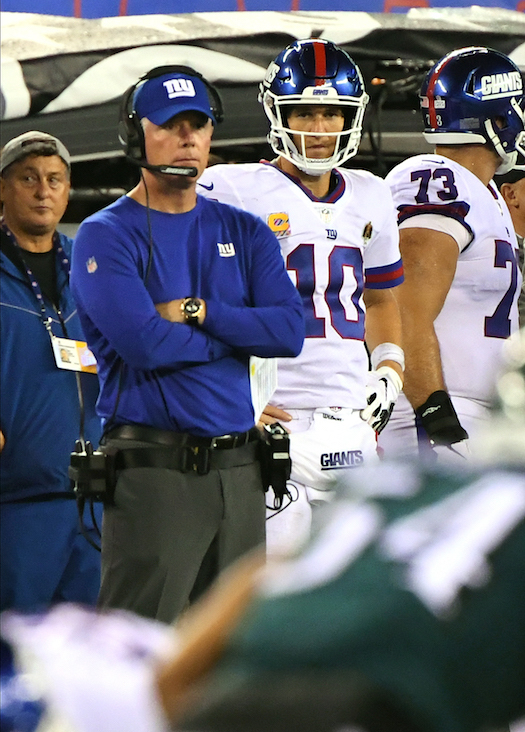 Head Coach Pat Shurmur will address the media by conference call on Tuesday. Wide receiver Russell Shepard (neck), left tackle Nate Solder (neck), and linebacker Olivier Vernon (ribs) practiced on a limited basis on Thursday. Tight ends Evan Engram (knee) and Rhett Ellison (foot) fully practiced. The New York Giants have signed wide receiver Corey Coleman to the team’s Practice Squad. To make room for Coleman, the Giants terminated the Practice Squad contract of wide receiver Kalif Raymond, who was signed on Tuesday. The 24-year old, 5’11”, 185-pound Coleman was originally drafted in the 1st round of the 2016 NFL Draft by the Cleveland Browns. An injury-plagued bust in Cleveland, Coleman has also had brief stints with the Buffalo Bills and New England Patriots this year. Coleman has played in 19 NFL games with 18 starts, accruing 56 catches for 718 yards and five touchdowns. The Giants practice on Friday and Saturday in preparation for Monday night’s road game against the Atlanta Falcons. The team’s coordinators address the media on Friday. Opening Remarks: I think I hit it last night, we didn’t play well enough to win in any area and we got beat by a good football team. I still will stand by it’s important that we as players and coaches just do our jobs and do them better. When you look at the game, there’s a lot of things that happened — the score got stretched out early, we had an early turnover, they score a touchdown, we go down and kick a field goal instead of getting seven, which we’ve got to do a better job of. When you look at it, they had four explosive plays, we had seven, but they were very good on third down and very good in the red zone. That kind of translated into points for them and not for us. There’s a lot of areas you could go to to discuss or talk about the game, but I’ll just try to answer your questions. Q: As you head into this long weekend, is a change of quarterback on the table? A: No. We believe in Eli. Q: How about a number-two quarterback? Would you consider moving Kyle (Lauletta) up above Alex (Tanney)? A: The guys behind, Kyle and Alex, are both working and improving. They’re working each day trying to get themselves ready to play. There’s no reason to discuss that right now. Q: You said you were not concerned at all about Eli yesterday. Do you feel the same way about all the players in that locker room? Q: What makes you feel that way? A: Because I know these players enough now to know that they’re going to keep fighting and try to get better. We’re certainly not where we want to be record-wise, I will acknowledge that, but I do know this – this group of players is going to stay in there, keep working, keep fighting to win a game, and our next one is against Atlanta on Monday night. Q: Obviously a lot of expectations coming in here and you’re new. How much of a challenge is this for you to keep the locker room together? A: We lost games. I think what’s important is we keep trying to improve, we keep working, and we keep doing what we can to win the next game. I don’t know anything about expectations. I know there’s reasons why there’s new coaches, I happen to be one of the new coaches in the league from last year, and you’ve got to do what you can to get your locker room right, get everybody playing the right way and coaching the right way, and do it in a way where you can win games. Q: Am I right that your team has after today, four days of the next five will be off? Are they off all weekend? A: We’re going to give them the weekend off. We’ll be back to work early next week, then they’ll get the traditional day off, and then we will be back to work. Q: Do you tell them after today, clean your mind of this? Or do you want them to figure out what the heck is going on here? A: When you get to this point, and every team deals with a Thursday night, the schedules for Thursday night are pretty traditional, the players will have the weekend off. It’s been that way everywhere I’ve ever been. So I think what’s important is you try to reflect on where you’re at and where you want to go. Right now, we’re not where we want to be record-wise, so I encourage them to reflect on that and then just try to think of ways that they individually can get better. Q: How about the idea that on first and long and then continuing through the series, especially third down, you’re not throwing even close to the sticks? There was one play in particular to Odell where he would’ve had to dodge I don’t know how many Eagles rallying to him to even come close to a first down. A: We had a couple of situations where it was third and super long, so it’s very hard sometimes to throw it to the sticks, and the way that the Eagles and some teams play defense is they did play the sticks, so you throw a little screen and try to run for it. That is that third down situation. In the other ones where it’s third and manageable, you certainly have the ability to throw it past the sticks, which we did. A: Along the lines of what I already said, we will reflect on where we’re at, where we want to go, and the areas we need to get better. I wouldn’t consider it a bye week. It’s a long weekend. And again, it’s not time off, it’s time away. Q: Saquon Barkley had over 225 yards in total offense. It seems like that’s not translating to opening things up for the rest of the offense. Why is that? A: I don’t agree with that narrative. He had production and he got the ball in the end zone, and he is part of the offense. I think we go back and forth with this – why didn’t he touch the ball, he touched the ball, he really touched the ball a lot, he didn’t touch the ball enough. Q: My question is why isn’t it opening up other opportunities for other players within the scheme, given his production? A: The way the game played out yesterday, it made sense to run the ball in certain situations and he did a good job with the ball in his hands. Then there were areas where we tried to pass the ball when we didn’t have as much success for whatever reason. It always starts with protection and then obviously the receivers and the passer doing the right thing as well. I don’t think that’s it. We got the ball down in the red zone a couple times, we didn’t score. I think that would have made a difference, and then if we don’t turn the ball over early and spot them seven points, that makes a difference. There’s details to it, there’s things that we need to do better. When you sit back and you look at the film critically, that’s what you go back and learn from. Q: Did you see the video with Odell and the cooling fan? A: I did not see that. I have obviously been told about it. I think he explained what he was doing, right? Q: Yeah. You said you didn’t want him doing that stuff. A: He said he was trying to fire himself him. In my mind, I wouldn’t try to give myself a headache to fire myself up. Q: Do you have to say something to him about that though? A: It’s important that all players in all situations keep their composure. Q: You know that it gets looked at as symbolic of maybe the frustration of the team and sends out some sort of message, you don’t view it that way at all? A: We all know that everybody’s always watching, so it’s very important what we say, what we do, how we carry ourselves, and when something like that happened, everybody asked him what was going on and he said he was trying to fire himself up. That’s what it was. Is that what I would have done? Absolutely not. Is that what I want my players doing? No. That’s it. Q: Any injury updates coming out of the game? A: Cody Latimer hurt his hamstring. You saw it on the one play where he was the gunner, he couldn’t stop. So we’ll have to see where that goes. Other than that, we just have some normal game wear and tear. Q: What would you say to the idea that has and will gain steam that given your situation this season, and the age of your quarterback, that at number two overall, it was now a mistake to take a running back when you could have taken a quarterback? A: The idea that Saquon Barkley was a mistake? I don’t see the logic in that. And I just told you that I believe in Eli. Q: At the end of the half there when Odell went out, did you know prior to him walking off that he needed an IV or is that something you found out later? A: At the time, I didn’t know that he left, no. Q: You would have wanted him on the field, I’m assuming? Q: Should he have stayed on the field for that play? A: He had to get an IV, so that’s about what I know about it. He obviously wasn’t available, so I put in another guy. Q: It looked like Aldrick (Rosas) wasn’t able to get a full swing on that field goal there. Was that his quad? 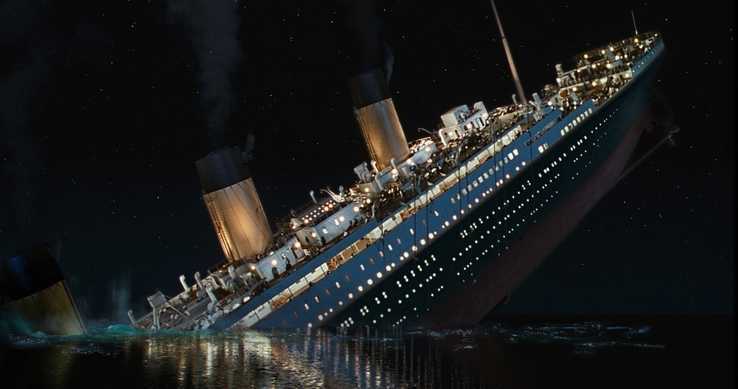 A: Yeah, it fell short. Bummer. I don’t know. When we talked to him, he was healthy enough to kick for us, it looks like he just mishit it a little bit. It was on track, it was just a little short. Q: What did you think his max was? A: We thought that he could make it from there. That’s why we attempted it. Q: Not in the locker room but on the field, is Nate Solder what you thought he would be? A: Absolutely. In the locker room, very competitive, very outstanding player. Yes. Q: You’ve talked about you were the new coach, (Dave Gettleman) came in and reset the culture here bringing in a lot of new players. For the guys that are still here, the questions they’ve gotten is it a carryover from last year or the year before? Do you have to address that with the guys that are holdovers, more so than maybe you would have to address the entire team? A: We’re trying to grow away from 3-13, so the young players that weren’t here – the Saquon Barkley’s and the Will Hernandez’s, and the guys that are getting a lot of experience, the rookies have to understand that, they weren’t part of it. But they are going to help the guys that were here a year ago, we want to try to help forget that and keep moving, and the record doesn’t speak to that right now. I get that. But you just keep playing and keep working. Q: That’s the biggest responsibility that you’ve taken on from the very beginning – you weren’t here but you inherited that baggage to deal with. A: I think the word ‘expectations’ was thrown out earlier, and your question a week ago was panic versus urgency – there is always urgency to grow away from what was bad season. There is urgency. I think that you’re always talking about doing what you can in the moment to win the next game, and that’s how it all starts. 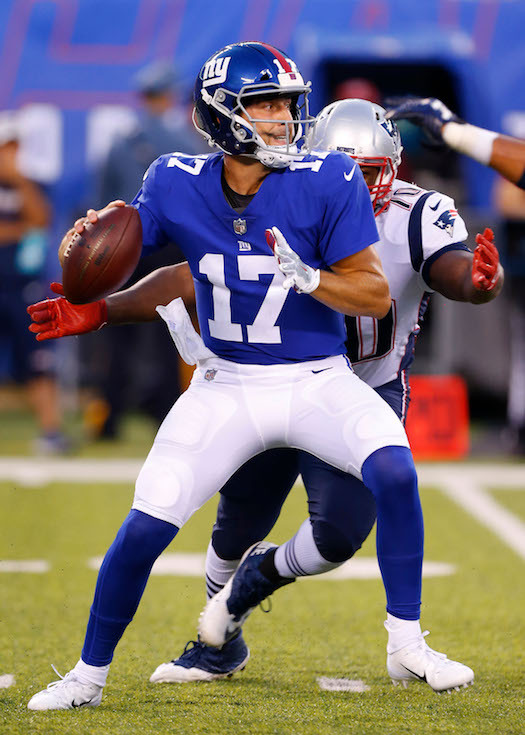 Q: Given your quarterback’s obvious age, do you feel like you have to at some point advance Kyle Lauletta beyond third string snaps and do you feel like if this season doesn’t go the way you hoped that you’d have to take a look at him in a game at some point? A: What you miss, to your point, I guess because he’s not active on game day, naturally it feels like he’s third, but during the week, he gets as many reps as Alex does, so we are developing him behind the scenes just like we would any rookie. Aside from putting him in the game, he is getting all the work that he can get. Q: Would you feel the need to put him in a game at some point if the opportunity arises in the season? A: We’re not talking about a quarterback change. Q: You said you believe in Eli. It’s very clear that Dave (Gettleman) and John Mara believe in Eli. A: Sure – and we believe in all the players, that’s important to mention, too. Q: His teammates, do you get the feeling they all believe in Eli? There are reports that some of them have started to lose some confidence. A: I don’t know where that came from and nobody has ever said that to me. People that write reports tend to be very resourceful, so I don’t know where that comes from. Q: When you look at the season, a lot of us looked at what you did with the Vikings offense ast year – is it confounding to you at all after going to great lengths to fix the offensive line, with the play makers around Eli Manning, that you just don’t score points at a representative level compared to other NFL teams? A: We haven’t scored enough points, you’re right. Actually, there were games last year when we didn’t score a heck of a lot of points in Minnesota. I think what’s important is, you just keep trying to do that. We moved the ball in the position to score points last night and did not do it. We were stopped on the fourth down, kicked a couple of field goals, and that is where we need to get better. We moved it down there and we didn’t put it in the end zone. The Eagles did. The Eagles won, we lost. That’s the challenge right now is to finish that up the right way. There’s two things – you’re trying to grow away from the season a year ago and everybody’s trying to predict that you’re going to do exactly what you did, and these are different situations. But again, everything is urgent, and we’re trying to make everything as good as we can be. This is a different roster than what we had in Minnesota – different types of players, different skill sets, so we’re trying to just make sure we’re doing the things that they do more. Q: With one win on October 12th, do you still have hope for this season? A: Absolutely. That’s why you do this. We just keep going. Everybody around us is doing the math. We don’t do the math, we just keep playing. Q: Has this turned into more of a rebuilding season than maybe you or others anticipated? A: When you come into a new situation, you don’t know what to expect because every situation is different. I don’t know what my expectations are. I expect us to win every week, and I think we have a team that can go out and win every week if we play the right way. That’s what I expect. Q: Do you know why aren’t they playing the right way? A: We’re playing hard, we’re just not executing throughout the game at the level that we need to, up to our standards. The New York Giants have terminated the Practice Squad contract of place kicker Marshall Koehn. The players are off until Tuesday when they return to practice.